For luxury accommodation in Cape Town, visit Dongola House a seven roomed upmarket private guest house nestled in the Constantia Valley. Offering all the convenience of a hotel, your privacy and comfort in our 4 star luxury lodgings are guaranteed. This spacious seven-bedroom guest house is tastefully decorated in contemporary African style and caters not only for the discerning businessman, but also for tourists who seek something uniquely south African. All the rooms are equipped with electronic safe, colour TV, Hi-Fi radio/CD system and hairdryer, with extra-long beds, high quality linen and extra fluffy pillows. There is a workspace to set up a laptop and armchair seating in all the rooms. We offer our guests a mini gym and games rooms, two guest lounges with fireplaces, laundry service and a swimming pool with spacious deck affording panoramic views of the Constantiaberg. The guest house borders on a green belt. A wealth of attractions is right on our doorstep. Wine farms, golf courses, amazing beaches and mountains, Kirstenbosch Gardens, Chapman&apos;s Peak Drive and more are all within easy reach. Reach the busting city centre of Cape Town within 20 to 25 minutes&apos; drive. Dongola House offers meetings facilities for small, private or executive conferences, with up to eight delegates. "What to say - the Dongola is just the most perfect base to explore the Cape. Sally, Mike, Natalie make you immediately welcome and the setting is simply amazing and stunning in equal measure. The..."
"We have been coming here for several years aaand hope there will be more to come.This is just perfect!Geographically it is well placed for access to Capetown, Hout Bay Simonstown etc and also is..."
"We can only add to the praise which is heaped upon Dongola House in these reviews. Just had a five day stay and didn’t regret it for a moment. Lovely, well equipped room with a delightful view..."
"This is our third time at Dongola and it was a delight to return. Mike, Sally and Natalie cannot do enough for you during your stay and it really allows for the most relaxing few days. Having got..."
"Our first choice as always !" "Having booked 2 years prior to our 4th visit in order to be assured of our favourite room we experienced the same excellent level of service and comfort. We have already booked our same room for..."
"What a fabulous place, couldn't fault a thing. Quiet position with stunning views and gardens. But still close to vineyards and restaurants. Great owners with lots of help and information. Highly..."
"This was a lovely house with a beautiful pool set in lovely gardens. Our room was perfect with its own private patio. Breakfast here were excellent. It was a very peaceful place but close to..."
"Perfect place to adjust after arrival from the UK"
"This is our second visit and we were not disappointed. Mike, Sally and Natalie are great hosts. Rooms are good and the pool and lawn area are great to chill enjoying the fantastic view and warmth..."
"Sometimes when you revisit an outstanding place it disappoints but not Dongola. It was like meeting up with old friends seeing Mike, Sally and Natalie again. Standards are impeccable, location safe..."
"We loved the service, the well balanced very good breakfast and wonderful view from the terrace. The room and the bed were more than confortable. The swimming pool was more than a big bath. Very..."
"Excellent stay here! Room was lovely with a great shower. Pool area was also fantastic. Best of all the owners are as accommodating as possible, absolutely fantastic service with a great breakfast..."
"If you ever want to visit Cape Town Dongola House in Constancia is the place to stay, very friendly clean comfortable lovely breakfast and amazing views. Sally Mike and Natalie make you feel very..."
"Superb in every facet. 20 mins from Waterfront, if that’s your thing. Have used this facility for many years, and it’s always my first choice in CT. You won’t b disappointed. V good restaurants 5..."
"Beautiful B&B with friendly staff, yummy breakfast, comfortable rooms each with a little terrace overlooking the owners pretty garden. We felt so welcome and were looked after perfectly. If we come..."
"VERY NICE AND COMFORTABLE STAY"
"We had a very nice stay at Dongola Guest House with friendly hosts.The surroundings are very quiet and safe. The breakfast was very tastyand fresh made… fruit salad, warm dishes, good..."
"Beautiful, quiet spot in Cape Town"
"Luxurious, beautifully decorated room set in the owners` beautiful garden, very clean; nice little private terrace/seating area with a view of Table Mountain in front of the room, great breakfast..."
"Best place I've ever stayed in 40 years of travel!" "This is the most welcoming, coziest BnB I've ever stayed in by such a difference I can't believe it. Mike & Sally are warm and wonderful but let the guests have plenty of space. The rooms are clean..."
"We last stayed here 2 years ago and it’s still as great as ever. Comfortable well equipped rooms, lovely location, good food and best of all friendly staff. 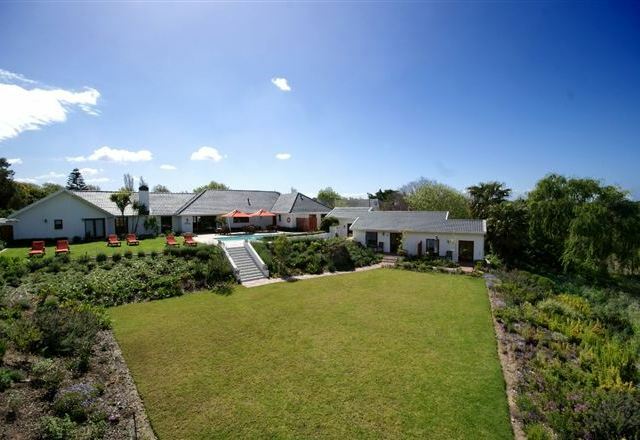 Sally, Mike and Natalie certainly know how..."
"Located in a quite residential district and it is strategic place for visting winelands, capetown and cape peninsula. Wonderful, cozy and comfortable big house Very good breakfast (thanks Mike for..."
"If Carlsberg did Guest Houses......Dongola is the best that I have stayed at anywhere in the world"
"If you don't understand my Carlsberg reference, then go to You Tube and enter "if Carlsberg did" (well worth a watch anyway). Lovely rooms, clean and well equipped, very comfy beds, great location in..."
"Older style property with great views. Lovely outside seating area around the sadly cold outside pool. Good location to the wineries. Manager very helpful providing us with free complementary..."
"Exciting and peaceful few days at Dongola House"
"Sally and Mike are great hosts and source of information. From there we toured the whole area, dined well, sat in the sun and swam. Breakfasts ticked all the boxes and set us up for the day. Dining..."
"This guest house is in the a stunning location. There is a marvellous veranda, swimming pool, and terrace, with panoramic views of the Constantiaberg. The house and rooms and immaculately clean..."
"One of the greatest travel experiences of my life time." "My friends were a bit skeptical about this place at first since it's about a 30 min drive from downtown and we didn't know much about Constantia. But during our stay, they thanked me for insisting on..."
"Outstanding attention to detail and so welcoming. It's like coming home!" "We had a very quick stop over in Constantia / Cape Town and spent a Friday night at Dongola Guest House. It was our second visit there and I really appreciated the attentiveness and attention to..."
"Like a mini boutique hotel with outstanding service"
"In the heart of Constantia and walking distance from several vineyards, Sally and her team provide a delicious breakfast with gourmet treats as well as a turn down service in the evening before bed..."
"Stayed with my husband and daughter, awesome place. Sally, one of the owner, assisted with reservation to a local restaurant which was everything she said it would be. Her place is upscalled, as well..."
"Our 2 night stay at Dongola Guesthouse was suburb. We loved the large comfortable rooms and the owners and lovely staff were very accommodating to our needs. The breakfasts were simply delicious..."
"My wife, two little girls (4 and 5) and I stayed here for 9 nights. We knew it would be a good stay, but it still managed to exceed our expectations. Mike and Sally are fantastic hosts and they..."
"Situated in a quiet neighborhood of Constantia close enough to all attractions, this guest house was a very pleasant surprise at a competitive rate for B & B. The room was furnished above average and..."
"Comfortable stay in the heart of Constantia"
"I had a short but extremely comfortable stay at Dongola while in Cape Town on business. My room was well appointed and the bed extremely conducive to a peaceful night's sleep. The view from the..."
"We spent a week at Dongola whilst on conference recently. The rooms were neat, welcoming and well maintained. Everything you require was available. The breakfast choices and buffet section was truly..."
"Best 2 nights of my trip"
"I cannot brag enough about Sally, the accommodations, and the staff at Dongola House. The rooms were spotless and service was top priority. I was in awe of the cleanliness of the property. If the..."
"Our stay with Dongola House was Awesome,Lovely & Excellent. The Breakfast was OUT OF THIS WORLD, as was the VIEW & the ROOMS WAS BETTER THAN 5STAR LUXURY HOTEL! The Staff & Owners are so friendly. I..."
"few days at cape town"
"I had a fantastic stay at the Dongola house. Sally and Mike thanks a lot for your hospitality. nice clean rooms and a very personal breakfast every morning. although I went out every day the garden..."
"This place was awesome! From the very moment we entered we were greeted like we were family. Natalie is a wonderful person to wake up to each morning. I didn't even have to tell her what I..."
"Fabulous, friendly guesthouse at great value"
"We had a wonderful few days at Dongola - The house is beautiful and Sally was beyond helpful in accommodating my elderly parents. Everything was perfect. I’d recommend staying in Constantia when..."
"Very organised guesthouse. Air-conditioning available. Had breakfast trays prepared for the couple of days that we were going out early. Welcoming and accommodating people running the place..."
"Comfy and relaxing in a great location"
"The guesthouse is located in a great location and within easy walking distance to both Groot and Klein Constantia wine estates. The room was very clean and comfortable and quiet. Mike saved the day..."
"Dongola has it all. Thank you Sally, Mike and Nathalie. Perfect place to start our Cape Town adventure. Four nights in clean and nice rooms, wonderful breakfirst at the terrace, fantastic garden and..."
"A peaceful, attractive location, yet within easy reach of all that Cape Town has to offer. Sally gave us a warm welcome and she, Natalie and Mike were excellent hosts. Delicious breakfasts on the..."
"I can see why people keep coming back!" "Dongola really is very special. Good location, beautiful well kept garden with pool and very comfortable sunbeds and a view towards the mountains. We had the smallest (and cheapest) room - all that..."
"We have been to Constantia on several occasions and have been fortunate to have stayed in superb B&B's. Dongola Guest House surpassed all else and ,by the end of our 6 night stay , we were amazed..."
"This was our first stay at Dongola which we visited briefly last year. Good news on our arrival, in this time of far reaching water restrictions in the Cape, was the property’s borehole. We’d picked..."
"What a wonderful place to stay in the Cape Town area so relaxing and located in easy reach of all the attractions the Cape has to offer. We would definitely look to stay here again in our future..."
"Everything about Dongola is perfect, but it's the thoughtful extra touches that make it stand out like supplying beach chairs umbrellas and towels. Nothing is too much trouble for Sally and Mike and..."
"We stayed for 4 nights and had a luxurious experience, a beautiful, clean room with all amenities. Fantastic breakfasts with an added extra touch everyday,eaten outside by the welcoming pool with..."
"This was our first visit to South Africa and Dongola Guest House was recommended for our stay in Cape Town. We were told that Dongola was fabulous and it did not disappoint. The owners Sally and..."
"I travel to Cape Town a lot and my first nights are always here, I often try and make my last night here as well and as much as I can in the middle. I have recommended it to everyone and no one has..."
"Luci and I recently stayed at Dongola Guest House for a couple of days. Mike and Sally certainly welcomed us as old friends and made our stay a memorable one. The rooms are spacious, well..."
"Located in a very beautiful and quiet neighborhood. Rooms are very nice, however we didnt sleep too well - not sure if it was the mattress or something else. Vegetarian breakfast options are limited..."
"This is a beautiful and very relaxed place. The view from the gardens is amazing, the pool refreshing, and Mike and Sally perfect hosts! There is so much to do in the near vicinity, Groot Constantia..."
"Just as great as the first trip"
"Our hosts Sally and Mike were fantastic company and nothing is too much trouble. The breakfast is fabulous with plenty of variety and everything is freshly cooked. The bedrooms are luxurious and when..."
"A Cape Town gem in the heart of Constantia"
"We've stayed at this fantastic guest house a couple of times now and will not hesitate to return. Mike and Sally are the perfect hosts with a team of friendly and efficient staff. The inclusive..."
"We stayed at Dongola House, the owners Sally and Mike were very welcoming, they helped with booking taxis their breakfast were great the room was immaculate and clean the views are beautiful, we will..."
"Returned this morning from my second visit to this superb property in one of the most salubrious parts of Cape Town. As on my previous trip, I had room number two which I believe is their smallest..."
"The hosts were friendly and very helpful, making our stay happy and memorable. Our friends said it was the best accommodation they had stayed at for some time. Breakfasts were delicious. The bed was..."
"My Favorite Place to Stay in South Africa"
"We have been coming to Cape Town for 20 years. Within a few days you can cover the main tourist attractions of central Cape Town. Much of the charm of Cape Town is outside the city; namely, the..."
"Feedback on stay at Dongola House"
"I found my stay at Dongola exceeded expectations . Everyone there exceptionally helpful , from day to day service or organising special requests . So I give it top marks in all categories . Also a..."
"Very very nice and safe stay." "Had a lovely stay at Dongola with Sally , Mike and Natalie at the frontdesk . Solar heated pool is so nice ! Loved the spacious room that was extremely clean every day of our stay. Breakfast with a..."
"A superb B&B in a scenic setting. Delicious breakfasts, entertaining birdlife and unparalleled service." "We stayed here for 6 nights during a car tour from Port Elizabeth to Cape Town in Oct/Nov 2017. My wife and I are from Seattle WA and were travelling with my sister from Johannesburg. We are all in..."
"Best location we have stayed in South Africa this year! Beginning with a warmy welcome, best services by staff and especially the owners Sally and Mike. They let us feel like at home. Breakfast..."
"beautiful accommodation in a safe well kept area.Easy commute into central Capetown.Contantia is a pretty area with views of mountain and vinyards.Hosts Sally and Mike could not be more..."
"We had a tremendous good stay at Dongola House. Nice and friendly and helpful people and staff. Excellent Breackfast and very good service. The location is very nice in the beautiful area of..."
"Don't know where to start. Dongola House is just so welcoming and beautiful and homish. Fantastic host and hostess. And the location is just stunning. Breakfast had just everything- and more. We also..."
"Dongola Guest House is going to be my first recommendation to anyone needing peaceful, but central southern suburbs accommodation. The rooms are beautifully decorated and some have kitchenettes. The..."
"A gem of a find"
"Reasonable, comfortable and flexible. The owners and staff are so friendly and accommodating; they made our holiday in Cape Town. This little gem is central with clean and spacious rooms not to..."
"Feeling home with a view"
"We travelled with a larger Group and booked 6 rooms. It was a real cosy family atmosphere with great service at Dongola. The breakfast every morning was a celebration whit fantastic food. And..."
"After five years we have visited dongola house again. It has become even better. Very very good accomodation. We had the feeling that we are welcome and the whole atmosphere is total relaxing there..."
"This guest house is in arguably the best location in this part of town, the back yard views of the mountains is spectacular, the rooms are cosy & personal, the vegetation gives the air around the..."
"Beautiful quiet surroundings, very friendly host, comfy room and great bed, delicious breakfast... Perfect, we would definitely stay there again! Highly recommended for couples who want to visit the..."
"Property in a great area near Cape Town. The room was perfect with all you can need. Owners make you feel as you were at home. Breakfast is very rich and good. I would definitely recommend this..."
"A Warm welcome by the couple of owners. Very good for families. The owners are always present and they help you to organize your best holiday. The cottages are very confortable. The position is..."
"Andries and Michelle De Villierd"
"What an awesome guesthouse!A pleasure to stay there!Everything were so special and even personal helped from the owner.Breakfast were 5 star,rooms big, clean and modern!Money worthy!Thanks we had an..."
"A real gem.....everything a guesthouse should be"
"Dongola Guest House was a complete joy....superbly decorated and beautifully furnished, attentive and helpful staff and owners, nicely landscaped with a view over a natural creek area (quiet & plenty..."
"Stunning venue and accommodation! " "Dongola House truly is a beautiful guest house! The rooms are elegant as well as practical, offering all you need for a self catering visit. Or you can allow yourself to be spoiled by the friendly..."
"It was amazing staying there. Everything well tought and organized. Great hospitality and very peaceful. Totally recomend for anyone. The staff very carefully and the room very cozy. Also the garden..."
"A gem of the Cape!" "Beautiful, peaceful and and extremely welcoming. I would highly recommend this spot for a relaxing experience. 2 of us stayed in a comfortable queen size bed. Loved the option of a bath and shower..."
"Wish we had a longer stay!" "Thank you for a wonderful last night in South Africa. Natalie was so kind and welcoming and has a great smile! The grounds are beautiful, I just wish it wasn't pouring rain to have been able to..."
"I first stayed here in 2003 and it is even better today than it was then! Great location for exploring the many facts of Cape Town and the Cape Peninsula; comfortable rooms and bathrooms and..."
"Wonderful place to stay. Sally, Mike and the staff were excellent hosts and enhanced our tour of the Cape area. Breakfast was abundant and delicious. The room was clean, comfortable, well..."
"THIS IS A LITTLE GEM IN CONSTANTIA CAPE TOWN"
"My husband decided on our yearly trip to Cape Town, that he just did not want to stay in central Cape Town, but a bit out in the country. I don't know how I stumbled on DONGOLA HOUSE, but it was..."
"Great location for the wine region and getting into Capetown itself. Sally and Mike were the perfect hosts - friendly and welcoming without being intrusive. When they discovered it was the birthday..."
"Our stay at Dongola Guest House"
"Dongola Guest House is an excellent B&B in a very attractive setting. Everything about it lived up to our expectations and we were especially impressed with the way in which the staff made us feel..."
"Exceptional comfort and incredible hosts"
"Although it was just one night at this fabulous Guest House, I could write an essay on how comfortable we felt and how attention to detail made it all the more special. The breakfast was such a..."
"Excellent hospitality in a wonderful location"
"This is the kind of guest house which has thought about the details - for example, each morning at breakfast two tables were laid out for us: one inside and one outside, so we could choose where to..."
"Small boutique Hotel with family touch in wine area. Breakfast was excellent with innovative options to choose from. The Groot Constantia wine Estate is worth a visit and is in walking distance..."
"If you are coming to Cape Town then a stay at Gondola should be your priority! The owners, Mike and Sally are exceptional hosts and put every effort in ensuring you visit all the attractions and..."
"Hidden gem in leafy Constantia "
"After spending many years in hotels on trips to Cape Town, this time we opted for a B&B. Having had some unpleasant memories of dictatorial B&B owners in the past, I was a little apprehensive. What..."
"beautiful setting. close to the Constantia wine farms and easy access to the M3 highway. Also good as starting point for the Cape Peninsula. The owner/staff are very helpful also with the local..."
"Our host Sally & Mike were really friendly and helpful. The Guest House is in a quiet location with good views. The room itself was very clean and comfortable. Would highly recommend this Guest House." 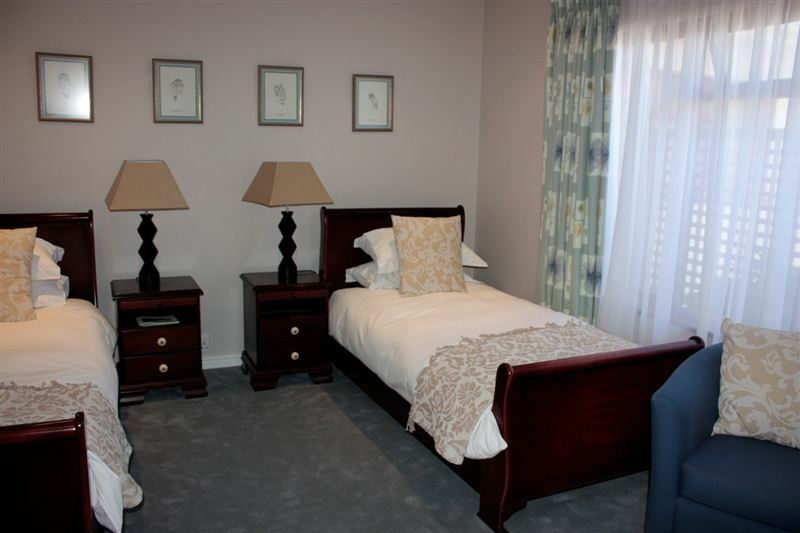 "Great Stay - Worth Every minute"
"Central to all in Cape Town, in safe area. We loved our stay at Dongola Guest House. Mike and Sally are true professionals, hoteliers, with an eye for detail and taking care of every possible comfort..."
"You will be hardpressed to find a place to rival Dongola Guest House in every aspect you may wish for in a high quality B and B.It realy is the ideal place to base yourself for a trip to the cape and..."
"Superb B&B in a stunning setting"
"We stayed at Dongola House for 3 days at the beginning and 2 days at the end of our 18 day holiday. Both were wonderful experiences. Room 2 first (which we were told was the smallest) was lovely and..."
"We had a magic 4 nights at DONGOLA HOUSE. You must book early or you won't get in. I booked 8 months in advance. My husband had said he was tired of the ONE & ONLY, RADISSON BLU type of hotels..."
"A beautiful place to enjoy this country. Guests are made to feel entirely at home whilst being surrounded by a lovely garden, pool and that breakfast is to die for. The last week of our month long..."
"We arrived early, straight from the airport; but were made very welcome, introduced to the lovely Suede and shown to our garden room. The room was bright and airy, with a breeze coming in from the..."
"DONGOLA HOUSE A LOVELY B&B TUCKED AWAY IN CONSTANTIA." "My husband had said he was tired of the 5* hotels in town and really wanted a B&B somewhere out of town. I lucked out when I found DONGOLA HOUSE. It's perfect for couples or a family with older..."
"Although we had one of the smaller rooms there was ample storage also a private patio. The breakfasts were superb as was everything to do with this accommodation.The owners were extremely helpful in..."
"Had a wonderful stay at The Dongola. Nothing is too much trouble for Mike & Sally. Lovely room,excellent choice at breakfast,amazing views,beautiful pool,and lovely hotel dogs!!!! Couldn't be..."
"Lives up to the outstanding reviews"
"Warm welcome, incredibly helpful owners, comfy beds, yummy breakfasts, lovely view, friendly retired guide dogs to pet. This place deserves all of the amazing reviews and we aim to come back again..."
"Thank you Sally and Mike and all the staff at Dongola for such a lovely break. The guest house is in a beautiful location, stylish yet comfortable and spotlessly clean. Everyone is charming and..."
"We had both been to Cape Province before so did not want to travel miles up the Garden route but base ourselves for three weeks in a lovely b&b near Cape Town. Constantia is a perfect location..."
"Sally and Mike made us most welcome to their home and their staff did too. Our room was comfortable, if a little on the cosy side, with a spacious ensuite. Breakfast on the patio or inside was..."
"Even better than the reviews!" "Mike,Sally, Natalie and team go beyond expectations even of a hotel. Nothing Is too much trouble. Iced water appears by magic next to sun loungers. Breafast options and their presentation are..."
"Really great hosts with nothing too much trouble. Lovely setting great views and a great place to both unwind and see the local sights. Superb breakfasts both Sally and Mike were a fountain of..."
"Rated as the no.1 guest house in Constantia for a very good reason. Dongola house is simply perfection. Mike, Sally and the team have created just the right balance. There is always help on hand if..."
"Dongola House is an extremely luxurious guest house set in the leafy suburb of Constantia. Our room was large, with a king size bed, a very luxurious bathroom (although it's not possible to use the..."
"This place is like a piece of heaven! Sally and Mike with staff took so good care of us upon arrival, we felt like home but still we felt like we were on a five står hotel. The service throughout our..."
"We were there for the second time and we really enjoyed our holiday. Apart from the location in the middle of the wine country the lodges are very comfortable and in the middle of the..."
"could have chosen a better place to stay....very organized, very helpful, wonderful central cape town setting everything is only 30min max away. lovely rooms and heated outdoor pool. ideal. would..."
"Amazing hotel within a beautiful garden"
"It was really wonderful while my family was staying for five days in Dongola Guest House. It was cean and comfortable. It is located in the middle of Capetown and we could go anywhere within 30-60..."
"Another great start to an excellent trip , if anything it was better than 5 years ago. Excellent, friendly, helpful staff and owners - Mike and Sally are like old friends. The views are breath taking..."
"Dongola Guest House - Fantastic B&B"
"We love this B&B. This is the second time that we have stayed there. So professionally run by the owners with friendly efficient staff to assist. We particularly like the attention to detail. We..."
"Mike and Sally added a personal touch which made our stay even more memorable. We enjoyed our chats in the morning whilst having breakfast. We definitely going back to Dongola house for our next CT..."
"Rooms were sparkling clean and beautifully furnished, with fresh flowers, HUGE comfortable beds ,air con satellite TV, Fridge and hair drier. Private and sunny terrace, or sun beds alongside the..."
"Very clean, fantastic breakfast, friendly people and of course amazing surounding! We combined it with La Colombe which was a match we absolutely enjoyed! 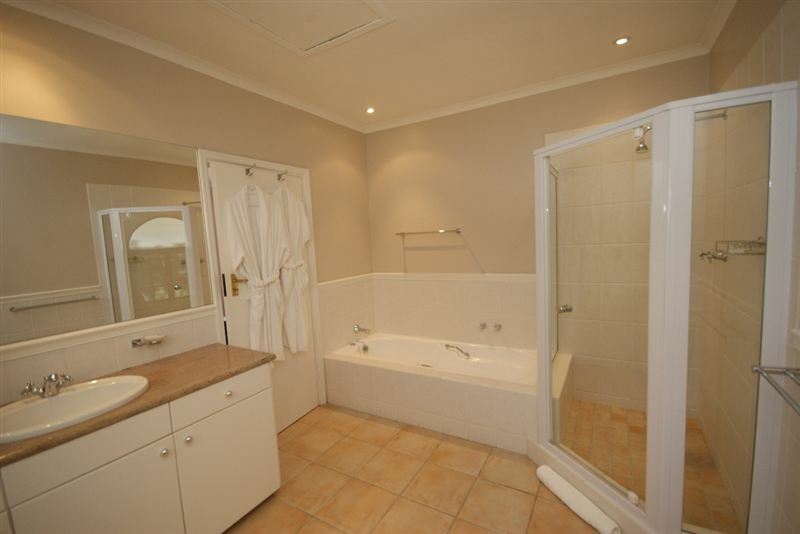 It is a nice room with privacy as well..."
"Lovely house in a good location for exploring Cape Town and vineyards. Mike and Sally are very welcoming hosts ensuring our comfort and attention to detail. Scrumptious breakfasts sitting on the..."
"Warm welcoming, with staff remembering your name throughout your stay, delicious breakfast menu ( English Breakfast) personal favorite. I suggest anyone doing there visa to book yourself into great..."
"Our stay at Dongola House was fantastic! Mike and Sally were very friendly, helpful and fun. We felt very well taken care of. The rooms were nicely decorated, cozy and comfy. The breakfast was..."
"We really enjoyed our stay at this lovely house (didn't feel like a b & b) just an extension of Mike and Sally's house. Wonderful and helpful hosts with tons of information and the views! Thanks for..."
"Just a wonderful place to stay"
"We stayed for 6 nights here and loved it. Mike, Sally and the staff couldn't have been more helpful and friendly. Constantia is a beautiful spot with lots to see around - much better than being in..."
"We are back in cold England now after another lovely visit to Cape Town that incorporated our third visit to Dongola. As before we had another fantastic stay; it really is the most delightful place..."
"Favourite place in Cape Town"
"I read great reviews about this guest house so i had high expectations. However, the guest house was even better than expected. Really great rooms and service, very tasty breakfast, beautiful..."
"Had a wonderful 3 night stay at the end of a 3 week tour of southern Africa. Mike and Sally have a magical touch and we felt really 'at home'. The service we received was on a par with some of the..."
"excellent base for exploring cape town"
"nice owner-run b&b in a fancy cape town suburb. Close to excellent wine venues and 20 mins by car away from city center. spotlessly clean and very well maintained rooms. driven towards perfection not..."
"Peaceful garden room overlooking a beautiful garden"
"We stayed at Dongala House for 1 night after a week exploring the Cape Town area before flying on to Botswana. The owners, who have many years' experience in hospitality, made us immediately welcome..."
"We were recommended by friends to use Dongola house and now we understand why. The accommodation was first class as were the staff and the breakfast excellent . The whole experience was great and the..."
"My husband and I stayed here for 3 nights during our holiday in South Africa. Of all the places we stayed, this was our favorite place and we still talk about how much we loved it. The entire staff..."
"We liked to stay at Dongola House. It is well located in Constantia. The owners and the employees were attentive to our needs and helpful. The breakfast was really delicious. We can recommend..."
"We stayed for 4 nights and couldn't have been more pleased. The rooms were superb and the breakfasts outstanding (best eggs benedict/florentine ever). Most important, hosts Mike and Sally were a..."
"Perfect place to stay for Cape Town area"
"Stayed here for 4 nights to show our friends around the Cape Town area as it was their first trip but not ours. Knowing the areas of Cape Town well, we felt that this B&B was in an ideal position..."
"The welcome was professional and the accommodation comfortable(an incredibly luxurious bed) Sally and her team were there to pander to my every need. The location was conveniently situated for my..."
"Dongola Guest House had fantastic views, staff and facilities. There is also an amazing set of breakfast options. I loved our stay here after a very long travel overseas, it felt like a home away..."
"Tranquillity at its best "
"From the moment we got our of the car we felt welcome. Natalie greeted us with a warm smile and the wifi password! Checkin was easy and she took us to our room. A bottle of champagne on ice waited..."
"What a pleasant stay! Stunning gardens, magnificent views of the mountains, clean and very comfortable room and a hearty breakfast too. What more can one ask for? Will definitely visit again. Can..."
"Lovely guest house with great hosts!!" "Sally and Mike are such good hosts!! Our booking was a large one with 9 adults and 3 kids, and Sally was so good in organizing everything for us and making sure the right couples gt the correct..."
"Warm friendly welcome by Mike, Sally and the team - very helpful if you have any specific needs. Great room with private courtyard, very comfortable and we parked right in front of it. Lovely..."
"Bedrooms are spacious and clean :)"
"This place was exceptional. The owners were very friendly and courteous. Not to mention, their dogs were just absolutely adorable! I'm an American student who came to Cape Town for a work..."
"Great start to our holiday!" "I have to amend my previous review here - we have been around the cape a couple of times, but this guesthouse is a real gem! The hosts are great, breakfast is fab, the room is very stylish, spacious..."
"What a pleasure! Thanks Sally and Mike"
"I had the privilege to stay at Dongola Guest House as part of the Greenpop crew. Never before have I experienced such a warm welcome. The facilities are five star and the stay was extremely..."
"I had the pleasure of staying at Dongola Guest House before departing on a long trip and it was exactly what I needed to feel refreshed and ready to go. Mike and Sally were warm and welcoming hosts..."
"A home away from home - thank you Sally and Mike"
"We recently had the good fortune of staying at Dongola. It was a super experience with warm hospitality and great service. Not only is the space and the people amazing, but constantia is also a real..."
"A beautiful stay in green Constantia"
"Dongola Guest House is beautiful, comfortable, friendly and homely. A great place to stay for a business visit or a quiet relaxed holiday near the wine region in Cape Town. Mike and Sally are amazing..."
"A delightful guest house in every way"
"This is a very comfortable guest house in a beautiful, quiet setting in the Constantia area of Cape Town. The breakfasts are delicious, and the owners and staff are warm, friendly and always helpful..."
"I got a warm welcome from Sally. I really enjoyed my stay at Dongola. It was just perfect, super awesome. Their facilities are of high standard and their team is full of love." "Beautiful guest house in a wonderful location"
"Stayed at Dongola Guest House for 1 night in June, while on a flying visit to Cape Town to attend a friend's birthday. I was looking for somewhere close to the venue and Dongola fitted the bill..."
"Awesome stay at Dongola House"
"Mike and Sally made our stay in April such a fantastic part of our holiday. I was proud to bring my relatives from Holland to have such a great accomodation experience. The breakfasts are out of the..."
"Enjoyed five days relaxation in this wonderful Guest House. Ideally situated to explore Cape Town and the south of the area we hired a car to explore fully and went as far as Cape Point. Mike and..."
"Our stay couldn't have been better. Sally and Mike are great hosts, staff are friendly, breakfasts generous and tasty, and rooms were very comfortable. All this and lovely views of the mountains..."
"Fabulous spot with best hosts ever!" "What a lovely welcoming and comfortable stay we had at Dongola House. A good night's rest, a tasty breakfast, a truly amazing team and beautiful views make Dongola the gem that it is. Will visit..."
"Fabulous: Faultless: Friendly: Fantastic; All summing up a week's wonderful stay - but it has one disadvantage. It's so good that it's a heartfelt disappointment at the end of your visit when you..."
"Best Guest House in South Africa"
"To arrive at Dongola House after a long flight is a warm and welcoming experience. The hosts, Sally and Mike, are both very gracious and helpful. We recently stayed for several days, bookending a..."
"We have stayed at numerous bed-and-breakfast over the past years but Dunglow was the first one in South Africa. It far surpassed all of the rest in beautiful setting, in pristine condition's,and..."
"We could not fault this amazing place. Welcomed with a drink by Mike and his 2 lovely dogs; shown to our fab guest rooms with luxury fittings and huge comfy beds. Slept like a baby and then woke to..."
"The welcome we received after arriving off a long haul night flight was wonderful. Such a calm oasis near the city and within a 25 minute drive of Muizenberg beach. Sally,Mike and Nathalie so..."
"My husband and I spent 4 nights at Dongola House and both of us LOVED this place. Beautiful views, clean and inviting accommodation and delicious breakfasts are only overshadowed by Mike, Sally and..."
"A superb guest house in a beautiful location. Comfortable, with excellent food and service." "My sister Anne and I spent 3 nights here at the start of our 9-day Cape Town/ Garden Route tour. We are both in our late 60’s and between us had visited Cape Town several times before. Things I..."
"A tranquil and charming B&B"
"Our bedroom (room 4) was absolutely delightful, placed in the garden with mountain views. The standard of cleanliness is very high and we were impressed with the attention to detail. Mike and Sally..."
"What's to be said? Superb location, breathtaking views over breakfast. Sally, Mike and all the staff are so friendly, welcoming and helpful. Can't think of a better bolt hold to explore the Cape area." "Great base to stay to explore the Cape Peninsula"
"Welcoming hosts, peaceful location with lovely views, excellent position for exploring the Cape and Cape Town, relaxed breakfasts by the pool, comfortable accommodation - what's not to like! This..."
"Sally & Mike make your stay very enjoyable, helpful in all aspects of customers needs Rooms lovely gardens beautifully kept with nice views. The breakfast superb I particularly liked the flapjacks..."
"Great location, tucked away from any main road. We stayed in one of the cottages set in the gardens with clear view of the Constantia mountains. Pool and breakfast area spacious with breakfast..."
"Wonderful accomodation!You could not better this!!" "We spent a week here and found our hosts, Mike and Sally, very friendly efficient and helpful. Breakfasts by the swimming pool were excellent and the accommodation very comfortable.They fully..."
"Sally and Mike have got everything just right in the running of Dongola House. They manage to anticipate your every need. Everywhere is comfortable and clean and breakfasts are perfect. We have..."
"Dongola House is situated in a quiet leafy avenue. It is easy to find and centrally located. Our suite had its own entrance, was very well equipped and spotlessly clean. Mike & Sally and their staff..."
"Sally and Mike were excellent hosts in every respect. The rooms were well furnished and very comfortable. We even had our own sitting out area as well as the lovely garden and pool. Delicious..."
"It has been a amazing stay. Both Mike and Sally are exceptionally good at engaging one in conversation but also allow enough privacy when required. The rooms are well equipped, comfortable and clean..."
"Charming people. Wonderful setting, delightful accommodation what more could you ask for. Really enjoyed my time there would have been nice to stay longer. Terrific value. My room was inside the main..."
"After a long flight we had a warm welcome to Dongola House from Natalie who couldn't have been more helpful. We had the most enjoyable13 night stay and really didn't want to leave. The rooms have..."
"Perfect place to relax and to enjoy outstanding hospitality"
"Many, many thanks to Sally and Mike for making us feel at home in their wonderful lodge. We also highly appreciated their courtesy, flexibility and help, when we needed it. The ferfect hosts in a..."
"An excellent Guest House in a perfect setting. Tremendous views from the patio and pool area. Lovely gardens and plenty of sun loungers. Very comfortable, well appointed rooms. Superb choices for..."
"We received a warm welcome on our return to Dongola House. Same high standard and attention to detail. We particularly appreciated the thoughtfulness which made our trip special including booking..."
"Dongola House is in a beautiful setting conveniently located for access to the whole of the Western Cape. Sally and Mike work tirelessly to anticipate and fulfill the needs of their guests. Nothing..."
"We spent 2 nights at Dongola's house beginning of January and had great time there The place is really nice and peacefull with amazing wiew and the breakfast is definetely gorgeous Natalie Sally and..."
"A gem of a house in a fantastic location in Cape Town"
"We had the most wonderful week at Mike and Sally's 'Dongola' house. Firstly they were amazing hosts, not to mention the dogs Suede and Shadow who our children fell in love with. This is a special..."
"Memorable week for all the family"
"Dongola was the perfect place to accommodate our entire family of 15 for a week. The house, garden and pool are in a stunning setting. Beautifully kept and run by Sally and Mike who joined in the fun..."
"I stayed 13 nights at Dongola while attending to some family business in Cape Town. During this time I had to work part-time remotely and Sally and Mike were extremely accommodating in providing me..."
"A wonderful introducion to the cape"
"Without doubt this is the most beautiful bed and breakfast venue we have ever stayed at. Being served a five star breakfast on the patio overlooking the valley and mountains was an inspirational..."
"Very warmful welcome, wonderful garden with a lot of birds and view, a fridge with cold drinks for selfservice. Excellent service, nice room and wonderful breakfast in the lovely garden. 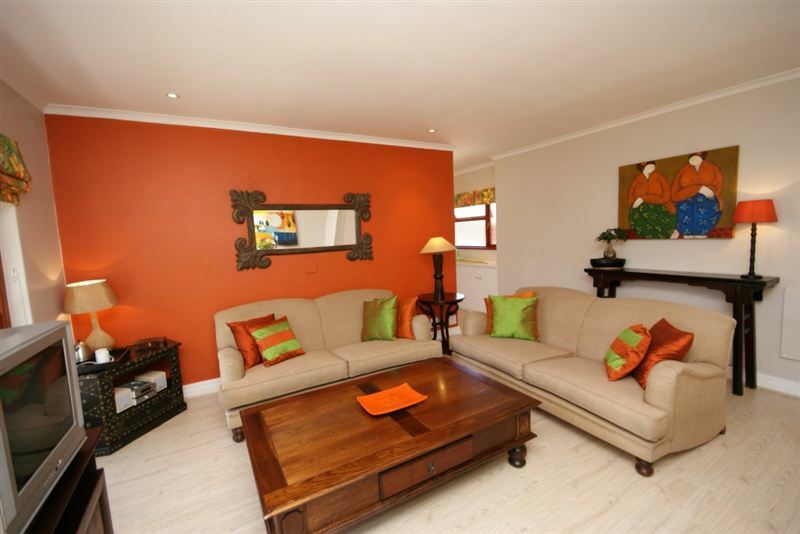 Very helpful..."
"Dongola house locates nicely in the heart of Constantia, so everything is near. The hosts are very friendly and helpful and the place really comfortable and nice. The room that we stayed was clean..."
"What a beautiful place! View from terrace and swimming pool is jaw-dropping. Breakfast scrumptious - delicious selection of fresh fruit, meats and cheeses, as well as hot dishes made to order. Room..."
"Excellent & friendly place in an excellent location - while our room only had streetview, it did not matter, since we left early for golf - very close to Steenberg & Westlake - both highly..."
"The most beautiful accomodation in Capetown!" "Dongola is a lovely house in a pretty, quiet area, with stunning views of the mountains and parklike surroundings, a very beautiful and well-kept garden, as well as a great pool. My room was..."
"The highlight of our South Africa trip"
"An awsome accomodation in the winelands not too far from the city of Capetown. We found a wonderful garden, very nice rooms/ suites which were extremely clean and decorated beautifully. The beds were..."
"Still the best and about the one terrible review"
"I do appreciate the fact that TripAdvisor lets everyone share their honest thoughts so I was intrigued at this one terrible review for a place I love so much. (I have stayed 6 times? 7? who knows - I..."
"Very friendly and helpful owners and staff, beautiful setting, rich breakfast, great location with fabulous view. Quiet.and comfortable rooms. Nice walks off the premises.We had a perfect stay..."
"An oasis of calm close to the city"
"This was our first nights stay near some friends in Constantia. A warm welcome to a comfortably appointed guesthouse and a very nice room. Great breakfast in peaceful surroundings. Would thoroughly..."
"What a great find - the reviews were correct. Met by Sally and Mike - the perfect hosts. They booked our restaurants for dinner - all excellent choices and gave us endless advice on daily..."
"Who could ask for more"
"Stayed for 4 nights towards the end of Oct 15.What a fantastic place clean ,comfortable,fantastic breakfast and most important charming friendly helpful people,this is the way to run a B&B who could..."
"Proof that Cape Town is the best city for Hospitality service." "As a frequent traveler and Hospitality Consultant, I am very impress with Dongola House. Attention to detail is noted 5 out of 5, the ability to focus on guest's needs are taken into consideration..."
"Fabulous place in the lovely Wine region of Constantia"
"Stunning B&B with lovely view of the Table Mountains. Staff is exceptionally nice and will go out of their way to assist you in anything you need assistance with (restaurant bookings, trip bookings..."
"Outstanding friendly and personal service"
"Sally, Mike, Natalie and Inga looked after us superbly. Our room was clean and comfortable whilst the beds and linen were a dream. The breakfasts were memorable, almost the best part of our day..."
"This was our first stay at Dongola House, and definitely will not be our last. Mike and Sally and their staff were fantastic hosts, attending to our every need in the most unobtrusive way imaginable. Our accommodation was first class and the breakfasts, views and location exceptional! See you again!" "Peter is a dedicated, friendly, caring host. He made us feel very welcome, home away from home. He even organised an egg hunt for our 2 daughters. We will highly recommend this B+B."